2015 Toyota Tacoma Double Cab, PreRunner, 2WD, SR5 pkg, 4 Door, 2.7L I-4, Automatic, Gas Saver, New 3" Suspension Lift, New Mayhem Alloy Wheels, Goodyear Tires, Color Matched Flares, Power Windows, power locks, power mirrors, tilt/cruise, App HD Radio with steering wheel controls, Bluetooth, and usb, Navigation and Back-up Camera, Nice, Clean 1 Owner Tacoma with only 98k Miles !! Visit Premiere Autoplex online at nbplex.com to see more pictures of this vehicle or call us today to schedule your test drive. WARRANTIES AVAILABLE ON MOST UNITS !!! 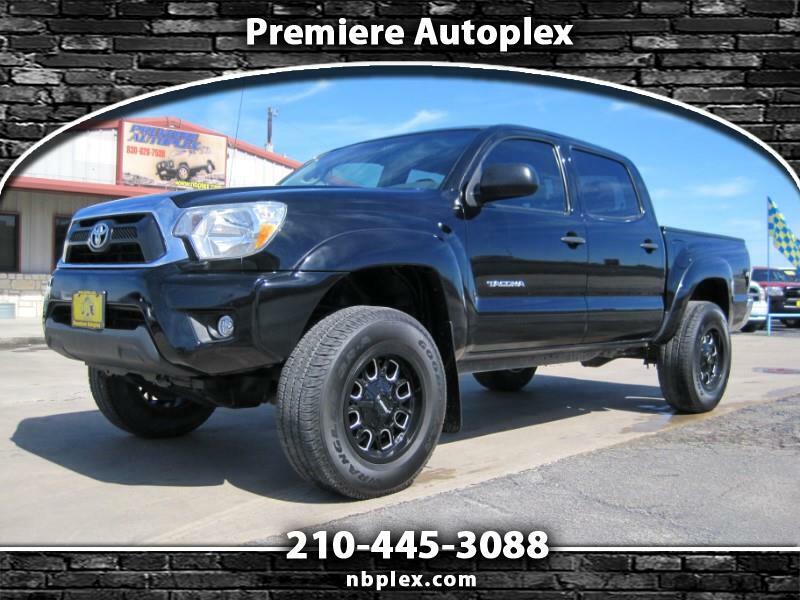 Visit Premiere Autoplex online at nbplex.com to see more pictures of this vehicle or call us at 210-445-3088 today to schedule your test drive. Message: Thought you might be interested in this 2015 Toyota Tacoma.